12. 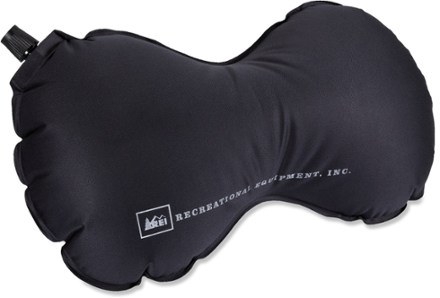 REI’s Self-Inflating Pillow ($20) has a grippy bottom to prevent it from sliding down your shoulder. What’s great about inflatable pillows is that they pack they so small, unlike bulkier neck pillows. This one rolls up into a stuff sack and inflates quickly. Its little nook is perfect for cradling on your shoulder so you can lean your head on it.